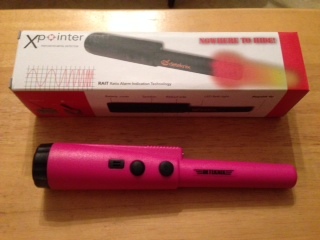 A winner was drawn last night from all the entries received for the chance to win the X-Pointer pinpointer, which was donated by Gold Digger Metal Detectors. The winner is Dennis Boucher–Congratulations Dennis! An email was sent out to the email address you provided, pleases contact me at Detectorista@gmail.com with your mailing address so we can get that shipped out to you. Thank you to everyone who entered, and as always–Happy Hunting! Great site, love your input and stories. Need more smart women involved like you.